Last we spoke, we made an eight-pound brisket. 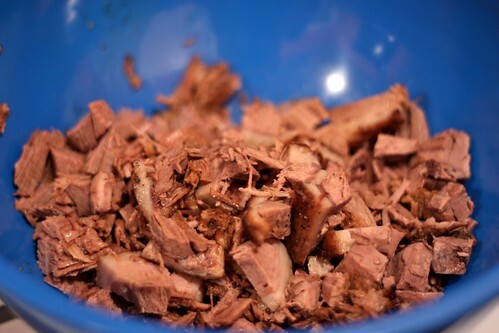 Here’s the thing about making an eight-pound brisket. If you make it? You’re going to have leftovers. 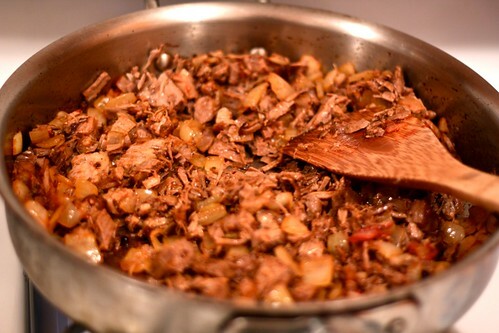 And then you have to ask yourself: “What should I do with those leftovers?” That’s why I’m offering you this follow-up post, a quick recipe for leftover brisket ragu. Refrigerate it overnight or for the next few nights, it’ll be ok.
Stir it all around and taste: does it taste wonderful? It should! 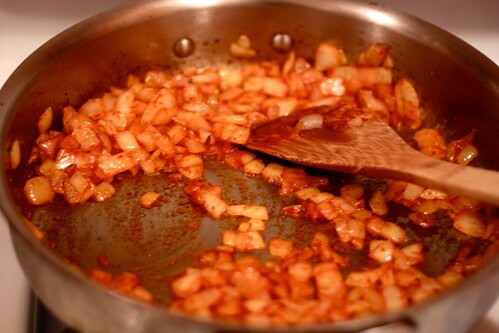 You can adjust with salt, pepper, and, if you like heat, some red pepper flakes. 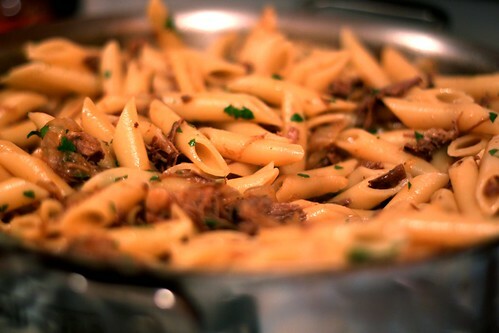 Now cook a pound of pasta–I recommend penne or ziti–until just al dente in rapidly boiling salted water and then, using a spider, lift it into the leftover brisket ragu. 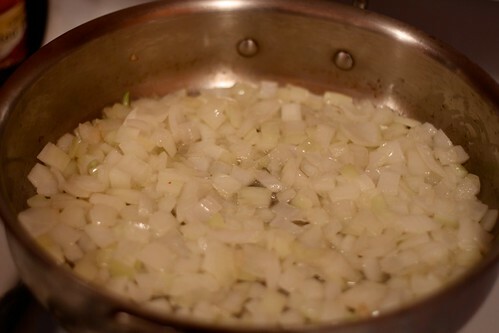 Stir in lots of chopped parsley and serve in bowls with Parmesan cheese on the side. 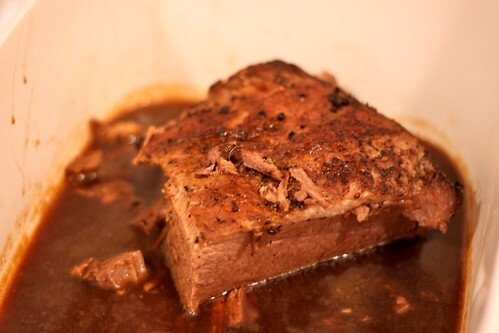 Wasn’t that a nice way to use leftover brisket? 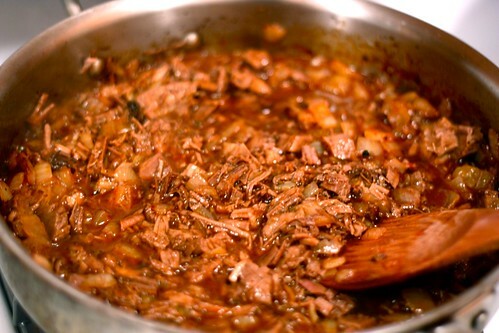 I bet it’d work equally well with any other leftover braised meat: in particular, short ribs. 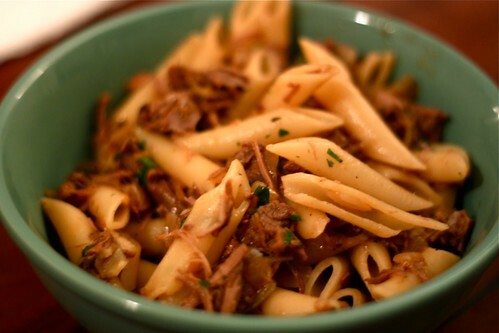 So braise some meat this holiday season and then treat yourself to leftover meat ragu. Santa will put you on the “Good” list for being so frugal.